I opened this book one night around 11:00 PM just to look at it quickly and see how it began but after reading the first pages I felt instantly drawn to the story and I just knew that if I didn’t stop reading at that moment I wouldn’t be able to stop until I finished it… it was with difficulty that I put my Kindle aside and decided that it would be better if I read the book another day when I was able to do it without interruptions and well…. it prove to be the best decision because when I picked up the book again I just couldn’t put it down. Lucas (Luke) and Lois (Laney) met when they’re eleven and there seems to be an instant connection between them, they become best friends and are inseparable. The book shifts between Luke’s and Lois’s POV, and past and present time easily which helps to get a better context and make the reading more engaging. This book has wonderful characters and it’s really hard for me to choose only one among them, but I can say with certainty that Luke became my favorite male character from all the books I’ve read (he’s far from perfect, he makes mistakes but I think that was the reason I liked him even more). 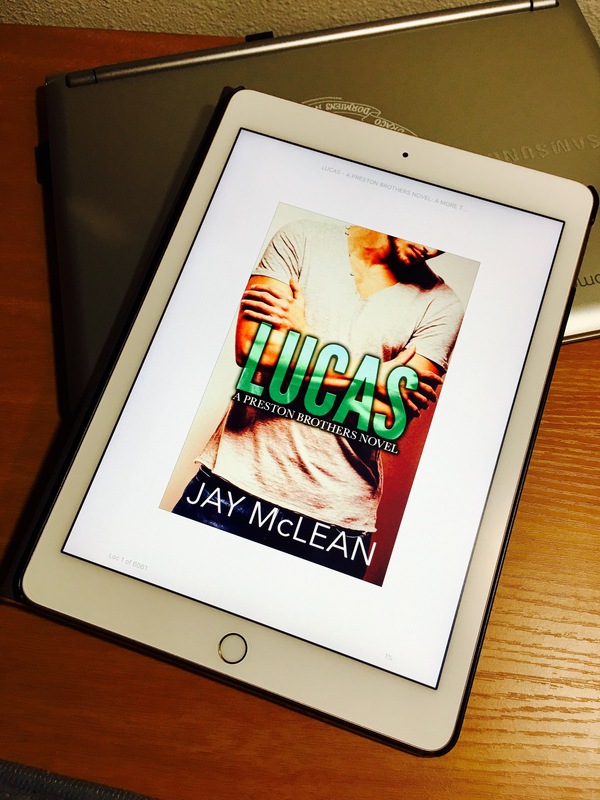 Another character I loved was Lachlan, who is Luke’s younger brother and the cutest kid ever (he deserves his own book). The Logan (another member of the Preston Family) references of “He’s so Logan” made me curious about this character and I was happy to find out that there is a book about him, so I’m definitely going to read it. There are many beautiful, awkwardly cute, heartwarming, funny but also heartbreaking moments in this book; reading was an emotional roller coaster but I loved every moment of it (and yes there moments when I cried a lot). I really recommend this book and I look forward to reading more about the Preston Family in other books from Jay McLean.